Stop Pressure Ulcers is supported by Welsh rugby star Sam Warburton. 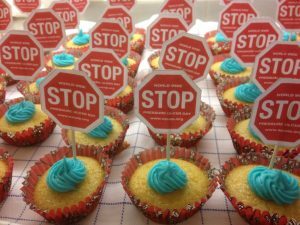 The EPUAP invites you to take part in next year’s Stop Pressure Ulcers to help bring pressure ulcers to a wider audience. 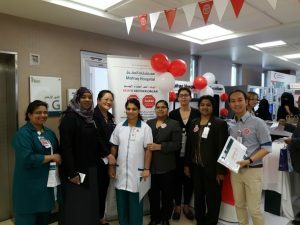 In 2019 there will be a Stop Pressure Ulcers to be held on November 21th 2019. The European Pressure Ulcer Advisory Panel applauds the efforts of such events to bring pressure ulcers to the public, the professionals and our politicians. 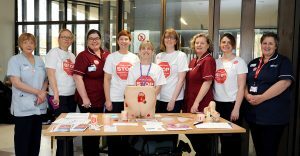 EPUAP has once again decided to join the Stop Pressure Ulcers to help publicise pressure ulcers. To this end we will continue to provide freely available publicity material on our website. As a first start we have provided here both the Declaration of Rio and the proposed logo for the Stop Pressure Ulcers and would be delighted if you also wanted to participate on November 15th 2018 to help bring pressure ulcers to a wider audience. 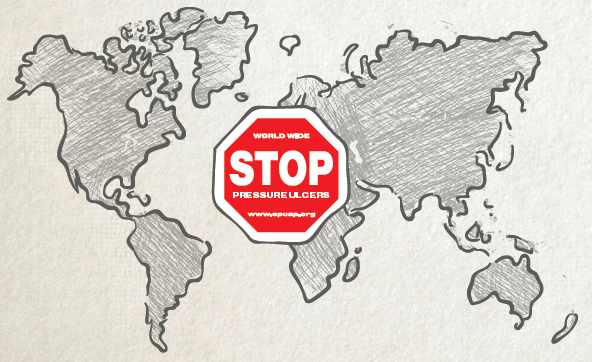 In recent years we have seen ‘Stop Pressure Ulcer Days’ occurring in Spanish-speaking countries and in 2012 these organisations created a Declaration in Rio speaking out against people developing pressure ulcers. You can now order Stop Pressure Ulcers T-shirts and stickers for your event. T-shirts are available at 8 EUR per item and stickers can be purchased at 3 EUR per 10 stickers. The items are not dated, so you can use it also for next year events. Please fill in the order form and send it to EPUAP Business Office by email until 31 October 2018, after this date we are not able to guarantee delivery on time. Shipment by DHL is also possible, upon request, however an additional shipment fee will apply.